Mel was awarded the best comedy award at the International Brotherhood of Magicians annual conference. "Mel Harvey is always at every appearance. 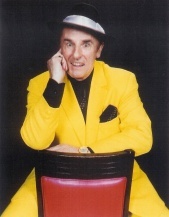 Mel Harvey, always funny, always extremely entertaining, always great fun." Award winning magician Mel Harvey got the double up by winning the "most entertaining act" at the recent Stage Competition of The Leamington and Warwick Magic Society.This is the second award Mel has received this year the first being for "entertaining close-up magic." Mel's new act which featured in a recent 'sell out' performance of the stage show "Mel's Magic Moments" is just part of a comedy based routine that has been put together for the new season of cruise ship shows starting next year. "Mafia Mel" wins the coveted "Frank Allen Trophy" for the most entertaining act at a competition at The Leamington and Warwick Magic Society. Mel now goes on to represent the Society at the "Champion of Champions" competition later this year. 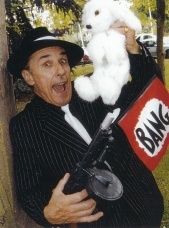 Mel is currently rehearsing for his comedy part as one of the "Crazy Gang" in the touring show "The Flanagan and Allen Story"
Mel Harvey is a multi-talented comedy entertainer who has worked around the world at corporate events, in theatres, at clubs, on cruises and on television. 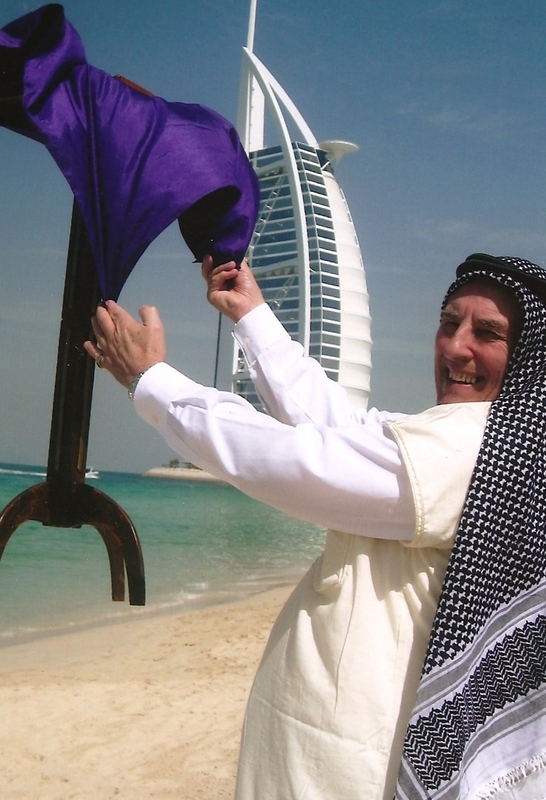 Mel is just back from Dubai where he has been performing his new comedy illusion "The Floating Table". The photos show Mel "Table floating" down on the beach in front of the iconic Al Arab Hotel. Mel also entertained at The Al Maha Desert Resort where even the locals and camels took an interest!!! Crowds gathered outside the Khalifa Burg (Tower) the world's highest building as Mel floated his table in the square. Mel is hoping to go back and float the table at the top of the building when the lift is working again!! An acclaimed comedy magician, Mel has been honoured by The Magic Circle who awarded him the medal of the Inner Magic Circle with Gold Star. Although based in Warwickshire, Mel travels easily to the Metropole Hotel at the N.E.C. Birmingham, top hotels in London and the Home Counties plus regular visits to Scotland and Wales. Mel's comedy act has been developed and honed over the last twenty years and has received much critical acclaim. As a close-up magician and corporate entertainer, Mel is in great demand. 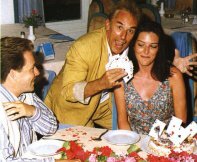 Smith Kline Beecham recently flew him out to Amsterdam for an evening of close-up magic at a gala dinner. Mel has also developed The Wacky Wizard Show for theatres. Please don't hesitate to get in touch to find out how Mel can put some magic into your life! 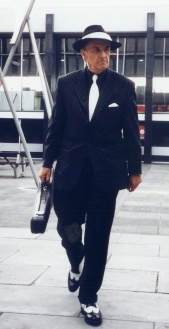 He can offer the complete solution to providing entertainment for your event. ...Finally, don't forget to read what people are saying about Mel in the testimonials section!